2015-2016 was Graciela's third year in our chapter. She has shown market turkey's and market hogs. She has devoted hours one cannot count into FFA. Graciela isn't just wonderful in FFA though, she also is an amazing Tennis player. She is also one than everyone can count on. Goal for the Chapter: Have more Freshman become involved in FFA. 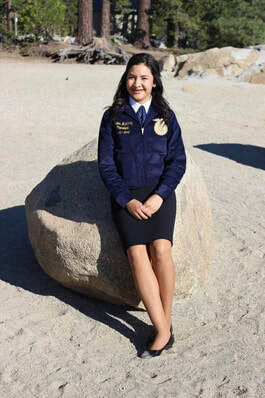 Favorite Saying: "Without, darkness we would never see the stars"
This year was Austin's fourth year as a member of Firebaugh FFA. Austin has always proved that hard work and determination will help you out in life. 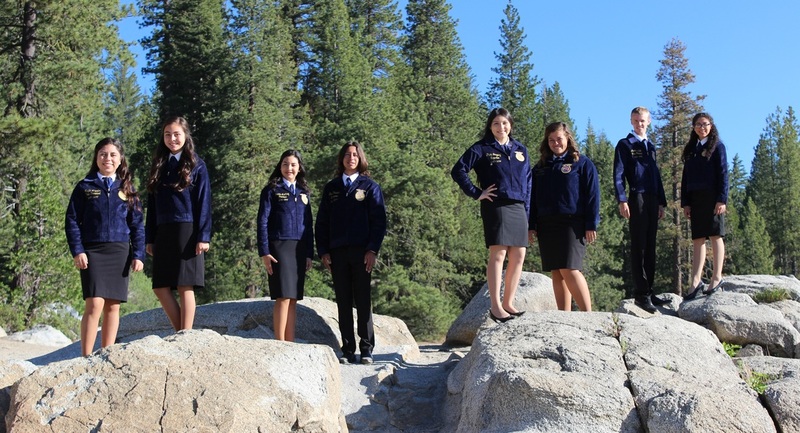 This year Austin represented the FFA Organization as the San Joaquin Regional President. Austin's SAE projects include working on his family's dairy, replacement heifers, wheat and corn production, and Landscaping. Austin's FFA accomplishments also include 1st high individual in Cotton Judging, 2nd high Individual in B.I.G., and being an upstanding Dairy showman fair after fair. This was Mayte'sjunior year at Firebaugh High School. She is showing a pig at Madera Fair. This is her second year as a chapter officer. Since the beginning of last year, Mayte has devoted herself to the servitude of this chapter. She constantly encourages a higher degree of member involvement at the chapter level. Goal for the Chapter: To continue to grow enrollment in the agriculture program to 100%.